It’s been almost 9 years since we’ve seen Jason Voorhees slash up some horny teenagers, with the 2009 Friday the 13th remake from Platinum Dunes. That release was moderately successful at the box office, but failed to impress critics. A sequel for the reboot never saw any traction and any future attempts at reviving the franchise have so far failed. Nearing almost 9 years since the last Friday the 13th film was released and with nothing currently in development, it appears that the Friday the 13th franchise is dead for at least the time being. With no official studio release in the foreseeable future, leave it to a fan film to breathe new life into the character and franchise. 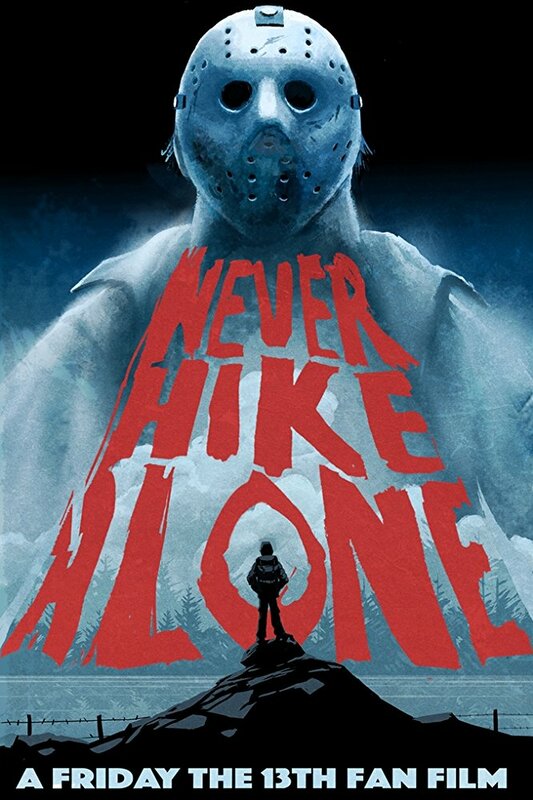 Celebrating the film franchise, Womp Stomp Films released their fan funded film Never Hike Alone on Friday the 13th. It is a glorious return for everyone’s favorite slasher, a brutally action-packed and entertaining homage that is not only one of the best fan films ever made, it also easily tops the last Friday the 13th film that was released. With beautifully cinematography, intense fight sequences, gore, and the secret return of an iconic actor and character from the franchise, this is a must see for Jason Voorhees fans. The story involves Kyle McLeod, a backcountry hiker and vlogger, whose backcountry hiking trip brings him across the long lost remains of Camp Crystal Lake. 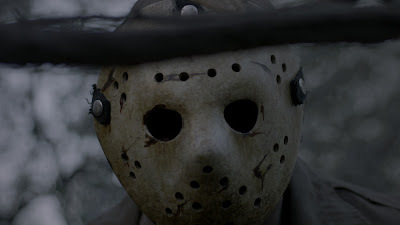 Exploring the campgrounds where a series of grisly murders occurred in the 1980’s, he unexpectedly discovers that Jason Voorhees is still alive and standing his ground. Kyle must use all of his skills to fight and survive the menacing killer. Vincente DiSanti takes on multiple duties, which includes co-writing, directing, and donning the iconic hockey mask of Jason Voorhees. His version is not only physically imposing, but also more agile. This lends to some excellent fight sequences between Jason and Kyle, played by actor Andrew Leighty. Leighty is the perfect choice for the role, able to portray both tough and scared when the particular scene calls for it. He also displays a wonderful ability for being tossed around like a rag doll, similar to what Sam Raimi would do to Bruce Campbell in the Evil Dead trilogy. DiSanti and cinematographer Christopher Thellas capture the remarkable beauty of their outdoor locations, while also creating some truly frightening scenes. The added sound effects and score help ramp up the tension and scare factor, better than some of the horror films that make it into the theaters. The score sadly doesn’t completely resemble the great Harry Manfredini scores from the previous films, but it is still more than effective and there are some subtle hints calling to Manfredini. Have you seen any horny teenagers? 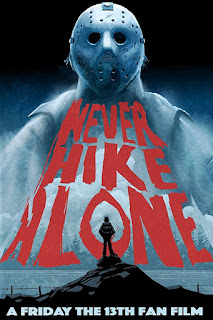 Currently available for free on YouTube, Never Hike Alone is a masterful addition to the lore of Jason Voorhees and should be an added addition to any binge-watching of the Friday the 13th franchise. Share this review and watch the fan film below.